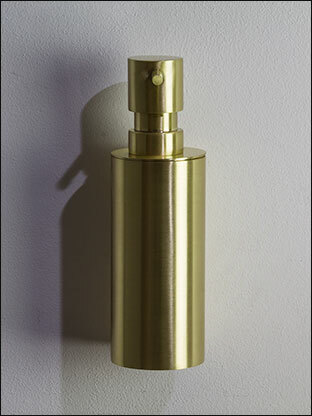 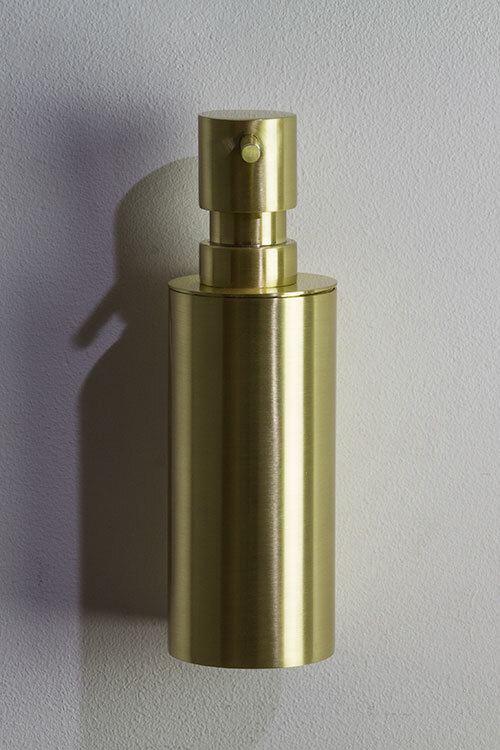 The Moca Brass Soap Dispenser Pump is finished in stylish brushed brass. 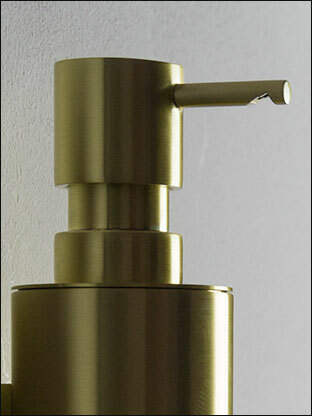 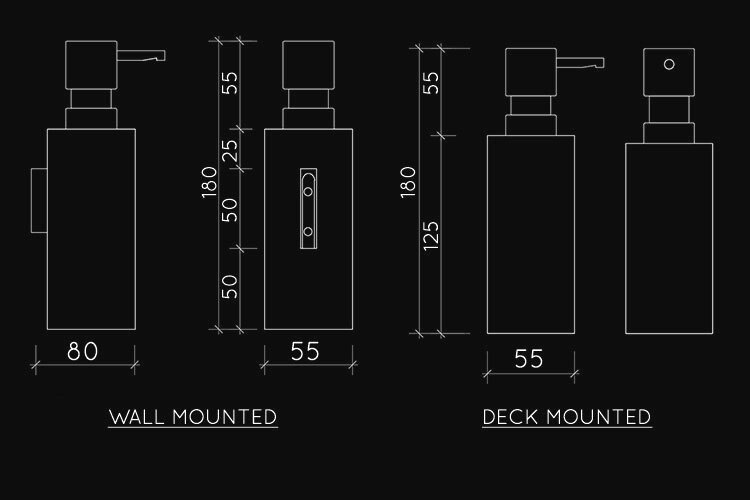 Made in Germany, this soap dispenser boasts high quality of design and manufacturing. 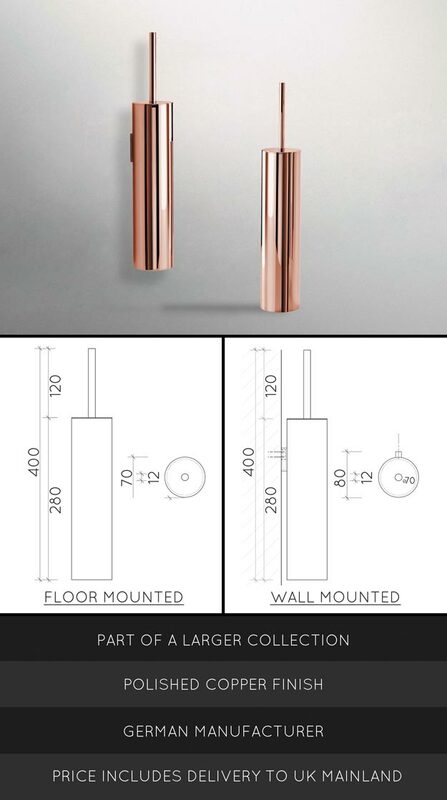 Available in wall mounted or freestanding options. A reliable soap pump with a contemporary style. Part of our full collection of brushed brass bathroom accessories. 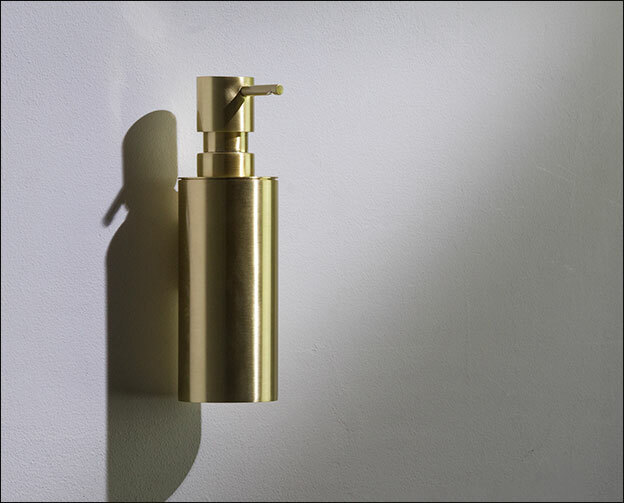 Available in un-lacquered brass which allows the soap dispenser pump to build a natural patina over time or a protected finish for low maintenance. 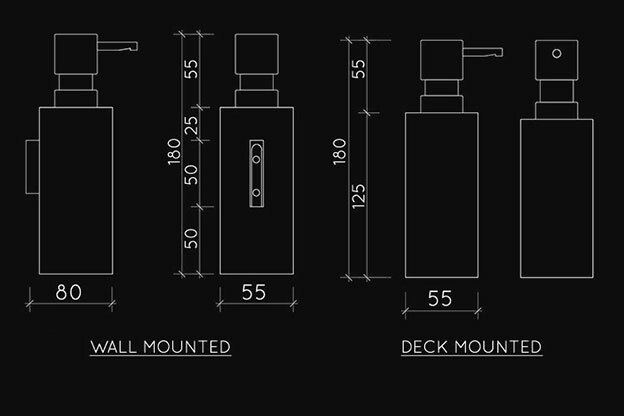 • Wall or deck mounted.